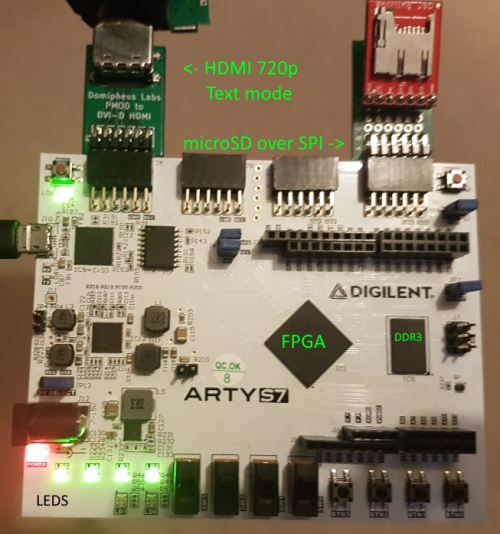 Designing a RISC-V CPU in VHDL: deploy onto Digilent’s Arty S7 board « Adafruit Industries – Makers, hackers, artists, designers and engineers! Domipheus Labs continues its series on designing a RISC-V CPU in VHDL for an FPGA. I wanted to get an off-the-shelf Spartan 7 FPGA board, essentially to bring up the FPGA side of an eventual move to my own development board. 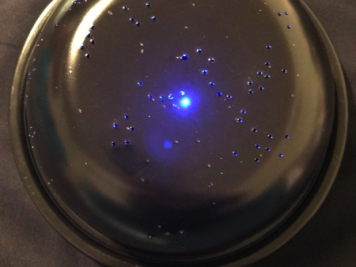 When I saw the Digilent Arty S7 announced last year, I kept an eye on it knowing it would be a contender for my upgrade path to the 7-series chips. The Arty S7 I ended up purchasing is the S7-50 variant, sporting the XC7S50 Spartan 7 FPGA with significantly more resources than my previous Spartan 6 board. It also had 256MB DDR3 RAM, but lacked HDMI connectivity. Thankfully, the HDMI/DVI-D output issue has been solved. You can read all the details on the blog post.